Crowns & Bridges - My Plantation Dentist - Heidi Finkelstein D.M.D. 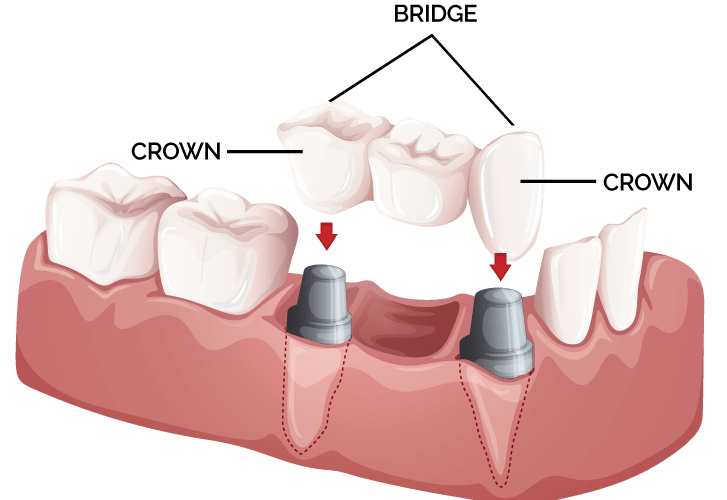 A dental crown is a "cap" that is placed over a tooth to cover and restore its shape, size, strength, and improve broken or damaged teeth, while preserving root structure from the natural tooth. When teeth are damaged by decay, disease, or trauma a dental crown may be used to restore them. 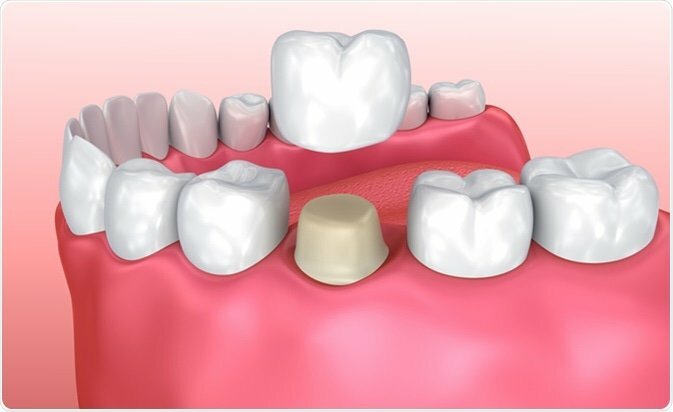 Unlike the use of a denture, crowns and bridges are cemented in place and are not removable. A crown can be used to make a tooth look better or it can be used to protect a damaged tooth. When a crown is made we match the color to the surrounding teeth. We use a local dental lab to create our porcelain crowns. After Losing a Tooth, Dental Problems and Chewing Difficulties May Be Avoided by a Dental Bridge. There are many important reasons to replace a missing tooth or teeth regardless of whether it's in a location that is visible to others. A dental bridge can help to restore your smile's appearance and normal function when a tooth or teeth have been lost. Leaving a tooth unreplaced can make it more difficult to eat, can affect your speech, may cause extra wear and tear on the surrounding teeth, and can create a greater risk for periodontal disease among other issues. However, a dental bridge can be used to replace missing teeth and bridge the space where the tooth or teeth once were. These bridges can be made to look, feel, and function like natural teeth. A bridge is a dental prosthesis that actually bridges the space where a missing tooth or teeth once were. 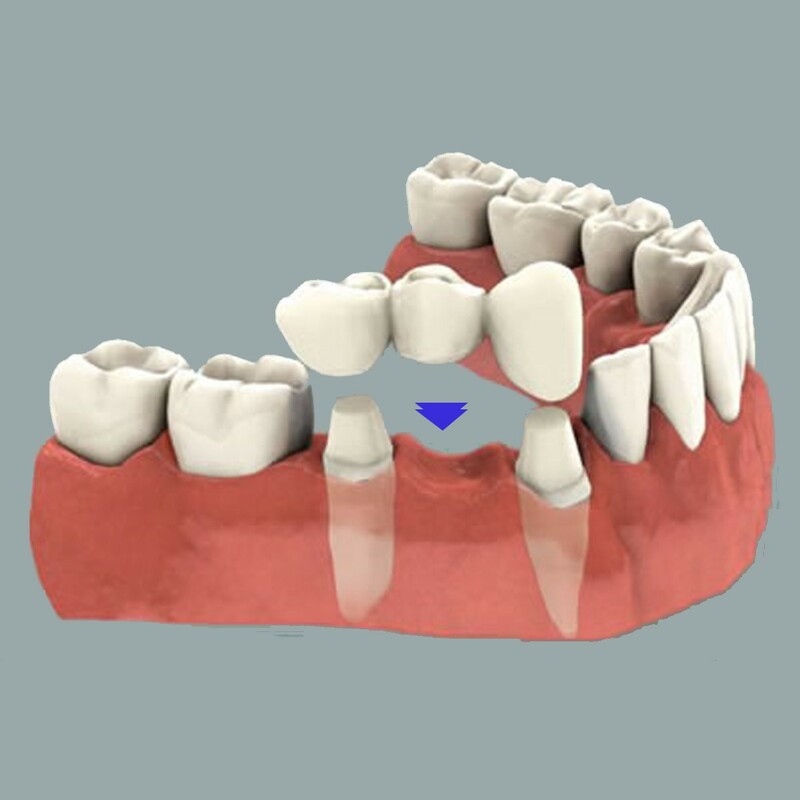 There are removable bridges that are designed to be removed for cleaning or fixed bridges that are affixed for support to the natural teeth that surround it. Bridges can also be used with implants and may be a more cost-effective solution than replacing each tooth with an individual implant. Do crowns replace the tooth? No, Crowns do not replace the tooth. Instead they cover what is left of the tooth and restore your bite and chewing abilities.